Howdy! 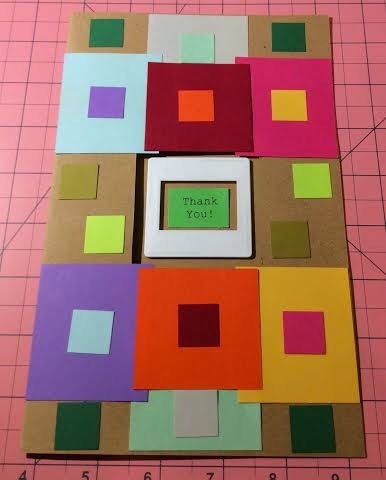 In my joyous foray into paper crafts, I tried my hand at a 35 mm slide themed thank you card and at a mini journal that opens up and down instead of side to side. The more I do these sorts of projects the more I define how I want to proceed aesthetically with paper art, and hopefully continued research and practice will improve my execution! I am learning so much, but I definitely think I need to spend more effort on adhesives. This thank you card uses the front of a Gepe slide mount with the glass removed. This is another project that is making me really want a die cutting machine. I wanted to make a mini journal for Dr. A, but since he is left-handed I made it "reporter notebook" style. I want to expand work with cutting spirals.